Frieda Loves Bread: Homie Can Help You Buy or Sell Your Home! 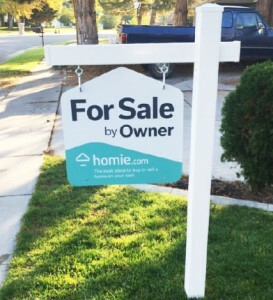 0 Homie Can Help You Buy or Sell Your Home! As a blogger, I receive invitations to attend events from companies that want me to try a new menu or product. I am very selective about which companies I choose to post onto my blog and love to support local companies here in Utah. I am a homeowner and have used realtors to sell/purchase two four of our homes in the past. We tried selling our last home in October, one of the most challenging times to sell a home. We had to get our home sold quickly and in time to move to our new house. We did NOT want to have two mortgages! When no offers were made after 5 weeks, the realtor suggested dropping the price $20,000. The NEXT day, a couple driving by, picked up a flier and made an offer within the week. When it came to closing, we were SHOCKED at how much our realtors got in commission! A total of 6 percent of the sale price, almost $10,000! This was 17 years ago. They received the full commission as the buyers did not have an agent. If they had an agent, the commission would have been split between their agent and our agent. Now our current home has more than doubled in value over the past 17 years. If we were to have an agent sell our home, the commission would be $35,000 or more. Yikes! I think we would love to have that extra money in our pocket for our next home! Do you need an agent to sell or buy a home? No! Can you do it yourself? Of course! We have purchased one home and sold two ourselves. It does take a huge investment of time, knowhow and effort. Skills such as home staging, salesmanship, and negotiating are needed. You need to be able to separate yourself from the emotions that may come up when a potential buyer scoffs at your curb appeal or gives you a lowball offer. This is where HOMIE can help! Their mission is to give YOU the tools needed to buy/sell your home quickly, for a good price, and keep some of that extra commission you would have to pay using an agent. Marketing your home. See that beautiful sign? Included are listings on Homie.com, Zillow, Trulia and KSL.com for Utah homes. Call screening. Yes! When my friend listed her home on KSL, the majority of her calls were from realtors, even though she clearly stated on her listing, NO REALTORS. You will get a custom phone number that tracks the calls and screens out unwanted calls from realtors. Professional Photos. Yes! Great photos will attract buyers. See the difference that a professional photo makes? Showing your home. You will get a lockbox or digital lock for your home. You can assign a family member or friend to let a potential buyer into your home. If you wish, Homie can find another Homie in your area to show your home. Close the deal! Real Estate Attorney & Paperwork. The purchase contract for Utah is only 6 pages long. It is simple, but good to use their real estate attorney on hand to look over offers, counteroffers, and addendums (anything added) to the contract. Find your home on any website. Get pre-approved for a loan, if needed. This will let the buyers know you are serious about purchasing a home. Make and negotiate an offer through Homie at NO COST. Using Homie's real estate attorney instead of an agent, you will have the power to negotiate a better price. Okay, now that I've told you what Homie can do for you, I bet your next question is, "How much will it cost me?" For Buyers: FREE Yes, FREE! Guess what? Homie has given me a PROMO CODE for my readers to receive $50 off the set up fee ($299) when you sell your home with Homie. Enter the code FRIEDA-BLOG when you check out. Enjoy the sweet savings with Homie!